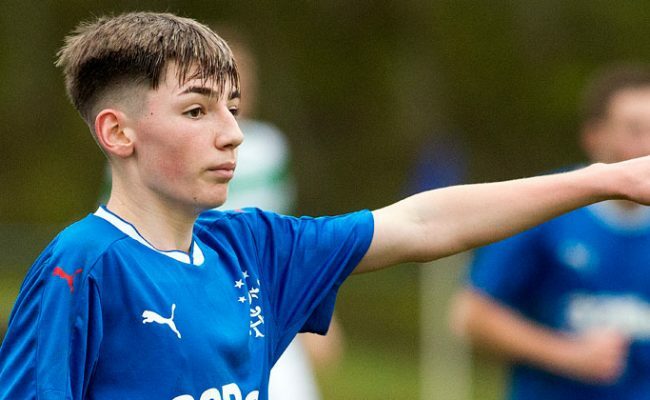 The Gers followed up high-scoring victories over Queen’s Park in the Glasgow Cup and Greenock Morton in the SPFL Reserve League with the draw in Perth, Glenn Middleton’s powerful strike following Glen Kamara’s through ball cancelling out a 26th-minute opener from Saints’ forward Jamie McKenzie. There was late drama as Kieran Wright saved a penalty from Blair Alston to deny the home side all three points with just two minutes left to play. 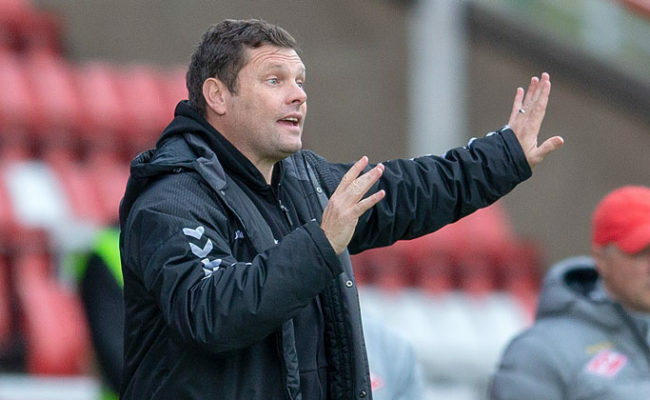 Reserve coach Murty was pleased to see the spot kick saved as he felt his side did more than enough to earn the point across the 90 minutes. 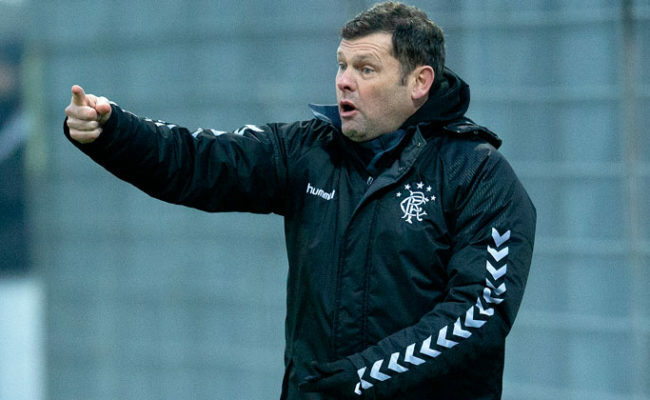 “I didn’t feel we deserved to lose it although we could’ve done in the end,” Murty told RangersTV. “I think we need to do more if we are really going to take initiative and win the game. Because although we played some nice stuff and moved the ball quite well, we lacked a little penetration at times. “But it’s a learning curve for younger players playing against experienced first team players which is good and they need to find a different way of unsettling our opponent rather than just being fantastic in one v ones. Which they are in our own age group, but they need to find maybe another solution. 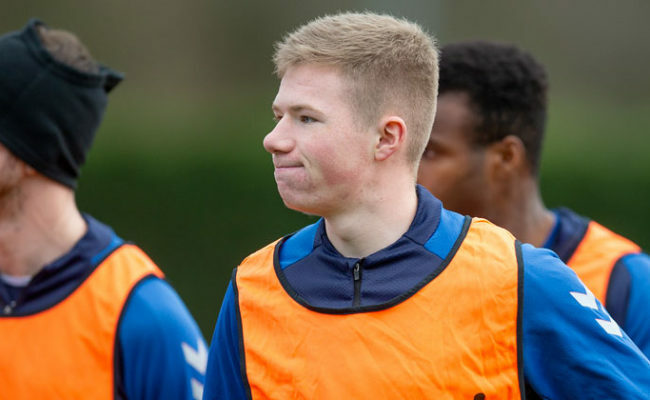 Four members of Steven Gerrard’s first team squad took part in the league fixture, with goalscorer Middleton playing 60 minutes alongside Lassana Coulibaly and January signing Kamara. 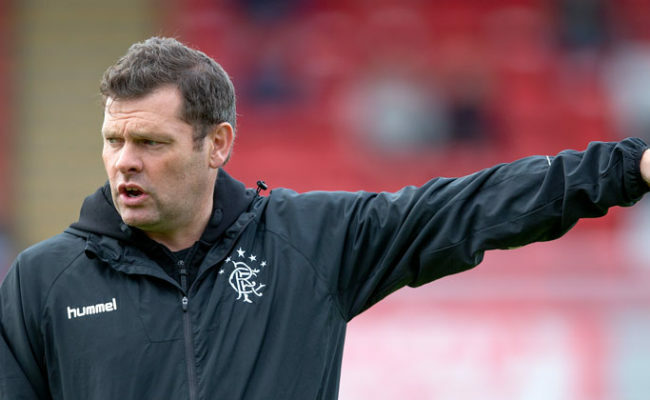 Another new addition, Matt Polster, played the full 90 minutes and Murty is seeing the younger players take advantage of having those senior players mixing in the same team as them. He said: “There’s two parts to it. There’s the bit where you look at these guys playing first team, they obviously have good standards, they prepare properly and they play well most of the time. And they actually maintain good standards of conduct throughout the game and deal with the ball very well. “But there’s the other part, where our young guys can’t feel overawed as well. They need to still have that voice, they still need to have that demand. Even though these are first team players you can still pull them around to the right position so there’s getting that balance between being respectful of who they are, and actually making sure you’re getting what you need from the game. I thought we got the balance, generally, quite good but once again we hope for better and we hope for more. We hoped to win the game but we didn’t quite do enough. “We relayed into them that we needed more penetration and we didn’t actually get it. They did it after two minutes, we spoke about specific things we wanted to see. They do it for two minutes, get really good success and then go away from it because potentially they want to do something different. “So that’s a learning curve for them as well as me, looking at the players, that although we get success they have to realise that it’s not unfashionable to go and penetrate off the ball. When they did it they got real good success but everyone wants to play what you call good football, always to feet, always nice and tidy. Football generally isn’t like that. You have to find a way to almost manipulate the odds into our favour a little bit more and I didn’t think we had enough solutions to make that happen today. 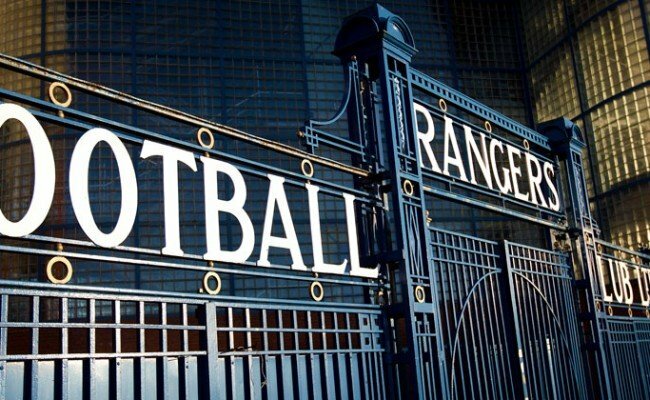 “We never set out to be top of the table, we set out to give our players a good challenge at the start of the season. We think we’ve managed that really well. The fact we are near the top of the table is because our players have had really good standards throughout the season. “They’ve played really well, they’ve been really clinical at times and we hope that continues on to the end of the season. But our measure is always going to be judged against first team players and how many we can push on towards that end.